One of the best acts of worship and praiseworthy sunnahs is to combine two meritorious deeds—prayers and reading the Qur`an —in an effort to complete the Qur`an during prayers. Since it is not possible for everyone to do this with the chapters he has memorized, scholars have discussed the permissibility of reading from a copy of the Qur`an during prayers by holding it in one’s hands or placing it on a stand. It is permissible for both the imam (the person who leads prayer) and the person praying alone to read from a copy of the Qur`an during prayers. This ruling applies to prescribed prayers and supererogatory prayers alike and to a person who has memorized the Qur`an and one who has not. This is the established opinion which Imam Ibn Qudama mentioned in Al-Mughni (336/1) through ‘Ata` and Yahya al-Ansari from among the scholars of the predecessors. – It has been mentioned through ‘A`isha that her slave, Dhakwan, used to lead her in prayer while reading from a copy of the Qur`an [Recorded in the Sahih of Bukhari in an emphatic and mu’allaq hadith , in Ibn Abu Shayba’s Musannaf in a hadith that includes the whole chain of transmission and in al-Baihaqi’s Sunan Al-Kubra]. – Imam al-Zuhri was asked about a man who reads from a copy of the Qur`an during the month of Ramadan and he replied, “The best of us used to read from a copy of the Qur`an” [Recorded in Al-Mudawana Al-Kubra (228/1-289) and in Ibn Qudama’s Al-Mughni (1/335)]. Just as reading from a copy of the Qur`an is an act of worship, so is looking at it. Combining the two acts of worship does not entail forbiddance but rather a greater reward since looking at a copy of the Qur`an is a surplus act of worship. Opinions maintaining impermissibility are further based on the fact that holding a copy of the Qur`an, looking at it and turning its pages involve excessive motions.In response to this, we mention that the Prophetonce prayed while carrying Umama bint Abu al-`As on his shoulder. He put her down when he bowed and picked her up when he straightened. Some hadiths state the permissibility of simple movements during prayers and, since turning the pages of a copy of the Qur`an is one of such motions, it is condoned. Moreover, reading from a copy of the Qur`an does not necessarily involve excessive motionsdue to the intervals between turning its pages. Turning pages, is in itself, a simple act and a person may put a copy of the Qur`an with large fonts on an elevated surface in front of him and read one or two pages without the need to frequently turn its pages. The Hanafi scholars, Abu Yusuf al-Qadi and Muhammad Ibn Hasan al-Shaybani maintained that reading from a copy of the Qur`an while praying is disliked regardless of whether the prayer is prescribed or supererogatory, though it does not invalidate the prayer. This is because reading from a copy of the Qur`an is an act of worship that has been added to another act of worship. They based their opinion on the fact that this act involves imitating the People of the Book. However, it is established that it is only forbidden to emulate the People of the Book if the imitation is intentional. This is because imitation involves resolving to do something and acting upon it. One of the legal principles is to take into account the intentions of the legally responsible Muslim. This is further corroborated by Imam Muslim’s report through Jabir Ibn ‘Abdullah (may Allah be pleased with them) who said, “We were once praying behind the Messenger of Allah when he was ill and praying while seated. He looked behind him and saw us standing, so he gestured to us to sit down. We sat down and offered the prayer in a sitting posture. After making salutation, the Prophet said, ‘You were on the verge of doing an act similar to that of the Persians and the Romans; they stand before their kings while they remain seated. Do not do this but follow your imams. If they offer prayers while standing, do likewise, and if they offer them while seated, follow suit.’ Since the Companions did not intend to imitate the People of the Book, they were not blameworthy. The idea of imitating the People of the Book does not cross the mind of a person reading from a copy of the Qur`an during prayers, let alone doing it deliberately! 1. According to them, it is definitely disliked to read from a copy of the Qur`an during the prescribed prayer whether from the moment a person begins his recitation or after that time. 2. It is likewise disliked for a person to read from a copy of the Qur`an during a supererogatory prayer if he has not done so from when he first started his recitation as this will most probably distract him from his prayer. 3. In a supererogatory prayer, it is permissible for a person, without it being disliked, to read from a copy of the Qur`an if he started to do so from the moment he began his recitation. This is because what is forbidden in a prescribed prayer may be allowed in a supererogatory prayer [Manh al-Jalil Sharh Mukhtasar Khalil (1/345)]. We can respond to the above by saying that unlawful motions during prayers are those which are diversionary or unnecessary since they compromise reverence and humility in prayer; it is therefore disliked to occupy oneself with them. Reading from a copy of the Qur`an is different; it is a simple act done for an intended purpose and there is no objection to such acts. The legal premises for this is Abu Sa’id al-Khudri’s report in which he said that the Prophet removed his shoes during prayers when it was revealed to him that they were unclean [Recorded by Imam Ahmed in his Musnad (3/92) and by Abu Dawud in his Sunnan (650)]. 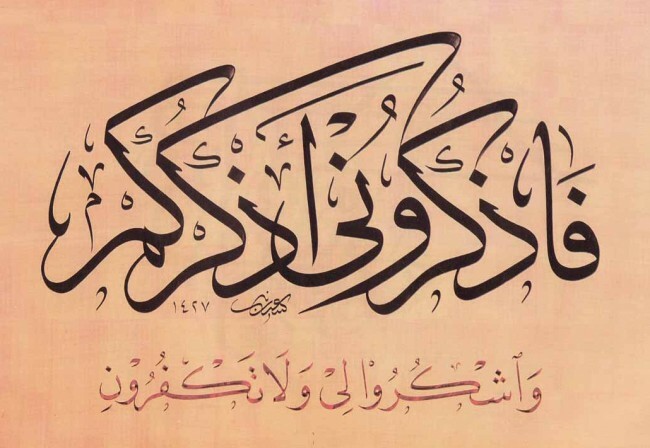 Based on the above, it is permissible to read from a copy from the Qur`an during prescribed and supererogatory prayers; it is not disliked let alone invalid. It must be noted that as long as there is a difference of scholarly opinion, the matter is capacious due to the established principle that objection is not for issues where there is a difference of opinion. Furthermore, this must not be a cause of conflict and discord among Muslims.